For all the ways you can define what it means to be a disciple, a disciple is best known by his or her actions. More than some abstract state of being, a disciple just does things, the right things at the right times. It is by these actions of a disciple that we know Christ is real in their lives. Let’s start with prayer. 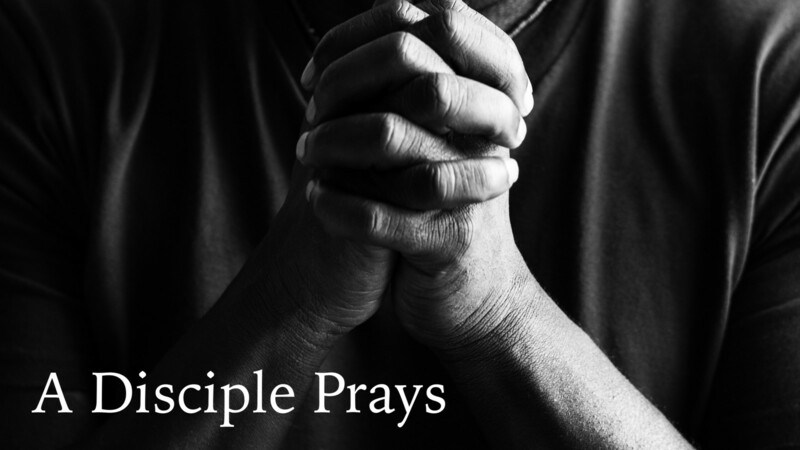 Simply put, a disciple prays. It’s fundamental to who we are as Christians. Technical difficulties prevented us from recording this homily. Do the promises we make in Lent evoke a substantial change in our hearts or just the superficial change of our garments? How often do we give something up for Lent only to later realize it has had a minimal lasting effect on our lives. Hearts and Garments is a guide to Lenten renovation that has a real impact. Leave behind the appearance of change for something better. Every Advent is a chance to look back, to remember as best we can what it was like to be a child. This is the season of Nostalgia, of remembering past joys. But we often forget that our nostalgia is actually a sign that we’ve lost something, whether that be part of our childhood, part of our innocence, or maybe even part of our hopefulness. When we were children, the Christmas season wasn’t a time that we looked into the past, It was a time that we looked into the future. It wasn’t a time of remembrance. It was a time of hopefulness. 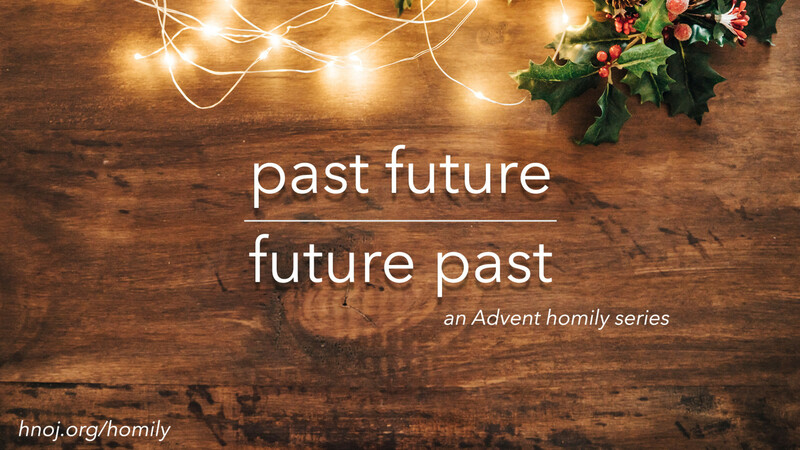 Can this Advent be your foundation for a season that primarily hopes, not in the past, but in the future. Can you make the best Christmas you’ve ever experienced one that hasn’t happened yet? Join us December 3 through 17 for this great message. 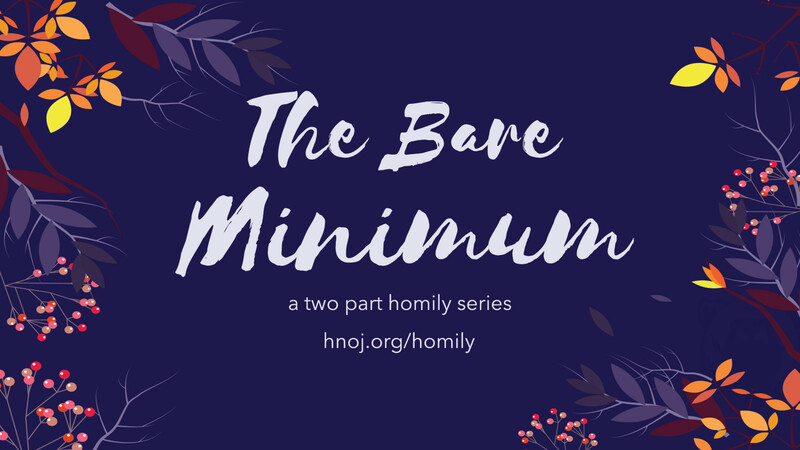 The Bare Minimum a two part homily series. What’s the least I can do to get to heaven? For most of us heaven seem to be a very distant reality, assuming we believe it is a reality. This makes the thought of preparing for heaven seem like something to get to eventually, maybe at another point in life. Yet, over these two weeks we find two Gospel stories of those who are woefully unprepared for the end of their lives. In fact, even the preparations they have made aren’t even the correct preparations. Over the next two weeks, The Bare Minimum will explore how the least we can do is actually more than we’ve expected. Feel like you are on the outside looking in? Outcast centers on the stories of three individuals Jesus encounters, the Samaritan Woman, The Man Born Blind, and Lazarus. Each one has been cast aside by cultural norms, physical abilities, or even death. Over every objection, even the objections of the very person he reaches out to, Jesus makes insiders of outcasts and shakes the foundations of those who claim to have all the answers. Yet, even though Christ reaches out to each and every one of us no matter our past and no matter the circumstance, we still find ways to exclude ourselves. The following reflection questions were crafted after hearing the weekend's homilies. They can be used for personal reflection or Small Group discussion. When you hear familiar stories from the gospel like this weekend’s woman at the well, how do you bring that story to life in your mind? It’s easy to become complacent in our faith life. How do we draw more deeply on the well of our baptism to grow closer to Jesus and deeper in our commitment to our faith? Who is an outcast in our society? Who is an outcast from your life? When have you felt like an outcast? What does it mean to thirst for God? What does it mean to say that Jesus thirsts for us? What does it mean to “keep our baptism before us”? How do you rejoice in your Catholic faith? 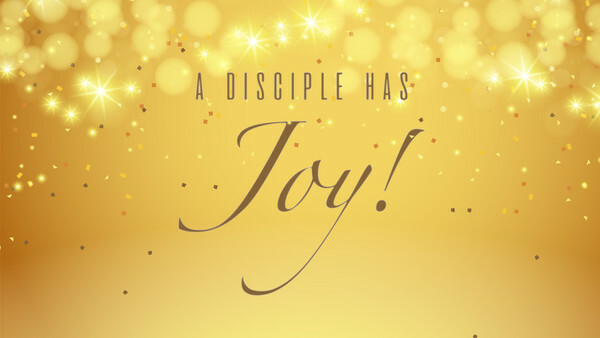 How do you rejoice in knowing Jesus? How can becoming a follower of Christ make us an outcast? Through our baptism, we share in Jesus’ victory and triumph, but we also share in his experience as outcast. Have you ever experienced being an outcast? Explain. It’s been said, “God doesn’t choose the qualified; God qualifies the chosen.” Do you think this is true? Can you give an example of this (from scripture or from your life)? What is God calling you to do? What is your mission? How is God equipping you to fulfill that mission? Is happiness just a description of a feeling or could it be something more? Could it be our purpose or our goal? Could it be the state of our lives rather than a feeling that comes and goes? Over the next few week’s we’ll be exploring our desire for happiness, our misconceptions of what it means to be happy, and the path God sets for us to be truly happy. Part 1: Jan. 29 - That doesn’t sound very happy. Beatitude literally means happiness, but not everyone Jesus describes in today’s gospel sounds happy - at least in our modern understanding. So what does Jesus really mean when he talks about happiness? What struck you from the homily you heard? What stood out to you from the video at the beginning of the homily? What is the connection between happiness and holiness? Feb. 5 - Today we took a break from our homily series, “Happiness” to make room for the Catholic Services Appeal. Part 2: Feb. 12 - What’s with all these rules? We often think of rules or laws as restrictive of our freedom, even as impediments to our happiness. But good rules and laws lead us to more freedom and happiness. Consider our traffic laws: it’s because we can generally expect other drivers to drive on the right side, stop at red lights, and drive at an appropriate speed that we are able to drive across town in a reasonable amount of time. It’s because of these laws that we have the freedom to go where we want. In the same ways, the laws in today’s gospel give us the freedom to pursue what we really want. Jesus even takes this further, inviting us not only to obey the letter of the law but to go beyond it, to know the heart of the law. Every rule and every law in all of holy scripture and church teaching is intended to provide freedom and happiness to the person who follows it. Part 3: Feb. 19 - Be perfect, really? Jesus continues to invite his disciples to go beyond the law. Yet his final command in this chapter of Matthew seems impossible, “Be perfect, as your heavenly father is perfect.” Similarly today’s first ready asks us to “Be Holy, as I the Lord your God as Holy.” When did we come to think that those who are holy don’t have any fun, that they aren’t really happy? The truth is that holiness is happiness. What is the relationship between Holiness and Happiness? How does our society paint someone who is Holy? What do you believe is correct or incorrect about this vision of Holiness? What are the longterm effects of seeking to be close to God? What are the longterm effects of turning away from Him? Is Happiness something worth seeking? Why or Why not? What should be our goal in life? For what were we made? Change your preparations. Change your expectations. Whenever we find ourselves stuck in a routine, whether it’s the routine of preparing for Christmas, the routine of our daily lives, the routine of the seasons of the year, or really anything, we often seek something new, something different to help break the routine. Sometimes this leads us to add more things to our already busy schedules, or to overload our senses with new stimulating experiences. But, how can we find something that is sustainably new? How can we live in such a way that we’re not searching for the next new experience, but rather that we’re experiencing the newness of life every day? How are you spiritually preparing for Christmas? What are your expectations for God at Christmas this year? How is Advent different now than when you grew up? In Advent we add things to our life, what have you taken away? What happens if you don’t eliminate something while adding new practices, responsibilities, and activities? Where is God present in your Advent preparations? On a scale of 1-10 how open are you to God doing something new for you this Christmas season? Why not higher? Lower? Do you bring your needs to God in prayer? If no, what keeps you from turning to him? Do you believe God is active in your life? Explain. What does your name mean? Why did your parents name you your name? How does Jesus’ name help us to understand his mission? What immediately comes to mind when you hear the word unexpected? Many of us recall tragedies and uncertainties; however, something unexpected isn’t necessarily something bad. Our introduction video combines the unexpected love of God the Father with negative, unexpected news from this past summer. Remember the prodigal son’s expectations were to be treated as a hired worker, not as a son. Holy Name has three homily series this fall. All of these fall under the umbrella of Unexpected: finding meaning and purpose in uncertain times. The first series begins Sept 25 - Unexpected Generosity, followed by Mercy Revisited beginning October 22, the last series of the fall is I Am Not Afraid beginning Nov 6.
Who is Lazarus in your life? What does our culture expect you to do when you encounter someone in need? What do you do when you encounter someone in need? What happened last time you encountered someone in need? What is your plan for being generous? What is your plan for next time you encounter someone in need? What are 2 things you can do, differently than you are doing now, when you encounter someone in need? What does it mean to know the poor? Who do you know that is poor? What do you think Jesus asks of us based on Sunday’s gospel? When was a time you needed help and received it? How did you react? What did you feel? When you are generous, why? With the size and scope of poverty, turmoil, unrest, and violence, why do our small acts of generosity still matter? Describe a time you were the recipient of a small act of unexpected generosity. How did you feel? How did you react? What is the connection between “increasing faith” and “unexpected generosity”? Why is generosity an essential characteristic of disciples of Jesus, then and now? What is one way you can be generous between now and next Sunday? When was the last time you asked for forgiveness/mercy? What does someone who is asking for mercy look like? Do you ever look like that? What keeps you from asking for or receiving mercy from others or from God? When was the last time you went to the Sacrament of Reconciliation? Who in your life helps you seek forgiveness? What is your posture when you pray? How would others describe your general posture? Are you open or closed off? What keeps you from seeking God to receive his mercy? Have you ever “avoided” God because you felt like you weren’t good enough? Do you think it is true that the very sins that we think keep us from God are the very things that could draw us closer if we asked for forgiveness for them? Explain your answer. When was a time you were shown mercy? How did you react? When was the last time you showed someone mercy? Who in your life needs mercy the most? Do you show them mercy? Explain. Nothing of this world will last forever, yet we too often put our hope here. Only in Christ can we find hope that will not disappoint us. Heaven is more than a prize or a reward; heaven is the purpose, the goal of every Christian life. Most of the time, day to day, where do you put your focus? Here or heaven? Explain. Why should we have hope even in the midst of great suffering or troubles? What does it mean to put our hope in heaven? Describe someone who puts their hope in heaven? What are they like? Describe someone who is focused on only the things of here and now? How does that influence their behavior? What does it mean to fear God? What does it mean to fear death? Today’s scripture focuses on the end of the world. Is all fear bad? In today’s gospel Christ, hangs on a cross between two thieves, each with a different path. What role does our hope and our fear play in the path we choose? Church is not primarily a building or an organization, it is not a set of rules to subscribe to or a denomination. Church is most fundamentally the people of God. We are the church, and we need to function as the church. We need to be the church. What are the building blocks to being a church? To being who we were made to be? Jesus Christ is the foundation of our church, without him, the entire building crumbles. Nothing our church does, offers, or hopes for will ever make any sense without a real relationship with Jesus. No program can replace him, no goal or objective has weight without him, no teaching is more important than him. While many know Jesus by reputation alone, we have to know him personally in order to be a church. The following reflection questions were crafted after hearing the weekend's homilies. They can be used for personal reflection or Small Group discussion. What's the difference between knowing someone by reputation, knowing about someone, and knowing someone personally? What is the process by which we get to know someone personally? Do you know Jesus by reputation, about Jesus, or do you know Jesus personally? Explain. What are the characteristics of someone who knows Jesus personally? What is one thing you could change about your week that would help you get to know Jesus personally? During the homily, we were invited to get to know Jesus by reading the readings, particularly the gospel, from this coming Sunday's Mass. Click the link below to find the scriptures for Sunday, May 1. “Whoever loves me will keep my word.” A relationship with Jesus cannot be a passive thing. Real love always leads to action. We have to continually move from knowing about Jesus, to knowing Jesus. The following reflection questions were crafted after hearing the weekend's homilies. They can be used for personal reflection or Small Group discussion. How often do you speak with them? What are the characteristics of a close relationship? What are the characteristics of the divine friendship that Jesus wants to have with you? How do we grow in divine friendship with Jesus? “You are witnesses of these things.” What good is a witness if they aren’t able to share all they’ve seen? In St. Matthew’s account of the Ascension, Jesus says, “Go and make disciples of all nations.” This is the mission of being church. How can we best do this? The following reflection questions were crafted after hearing the weekend's homilies. They can be used for personal reflection or Small Group discussion. Who is the first person you tell, when you have good news? How have you celebrated the important relationships or people in your life? Parents? Spouse? Children? Friends? Do you know what God has done for you? If so, how have you announced it? If you knew God's will for you, how would you respond? Would you do it? Explain. What kind of person does God call to share the good news, share their faith? What is one way you are going to announce your relationship with God this week? God is both the landowner and gardener. The God of justice AND mercy. We sometimes fall into the false trap of equating God with a Tyrant, who punishes our mistakes. This gives us a skewed vision of God that sometimes ignores free-will. On the other hand, there’s a temptation to view God’s abundant forgiveness as permission to do anything. So how do we reconcile these two extremes? Reflection Questions for Part I - Not a Tyrant The following reflection questions were crafted after hearing the weekend's homilies. They can be used for personal reflection or Small Group discussion. Who do you trust the most in your daily life? Name 3 behaviors of someone who trusts God? When in your life have you trusted God the most? The least? What do you trust God with? What don’t you trust God with? Are you more likely to think of God as a Tyrant/Judge or Push Over? Why is either of these ways to think about God dangerous to our faith? Sometimes, when a story is extremely familiar to us, like the story of the prodigal son, we fail to really listen to it upon hearing it for the one-hundredth time. There’s a lot more to this story than a son who runs away and is later forgiven. How do we know that God is merciful? What are the attributes of the Merciful Father from the parable we heard in the gospel? When in your life have you needed mercy like the younger son? When in your life have you needed mercy like the older son? How do you know you’ve received mercy? In Christ’s mercy, sin is optional. We are not condemned to repeat the same sins over and over (as if we were in quicksand)… we are, however, made new over and over. Reflection Questions for Part 3. The following reflection questions were crafted after hearing the weekend's homilies. They can be used for personal reflection or Small Group discussion.How does the woman caught in adultery react when shown mercy? Why is trust an essential piece of being able to receive mercy? What does trusting God have to do with receiving mercy from God? How does the woman react when Jesus shows her mercy in the gospel? What do we do when someone in our family shows us mercy? What is the best response to being shown mercy? What does Jesus invite the woman to do after she's been shown mercy? What is mercy and do I need it? This first week of “The Door to Mercy,” we’ll define mercy, along with the characteristics of mercy. We will also take a look at why we need the mercy of God in our lives. Often times we find ourselves in difficult situations we simply cannot overcome on our own. Sometimes we’ve even caused these difficult situations and may not deserve to be removed from them, yet the mercy of God is not concerned with what we deserve. Reflection Questions for Part I - Recieve Mercy - The following reflection questions were crafted after hearing the weekend's homilies. They can be used for personal reflection or Small Group discussion. Describe a time when you were shown mercy. If mercy is the removal of misery, is it hard to seek mercy if we don’t think we have any misery in our lives? Explain. What are your obstacles to complete and perfect happiness? What do you need mercy for? What areas of your life bring you misery? What is one thing you can do this week to receive God’s mercy? What sins do you need to remove so that God can enter more deeply into your life? What things do you need to clear way so that the path is ready for God to come? The mercy given to us by God is a model for how we must show mercy to others. Do we seek to relieve the obstacles to happiness of others irregardless of what they might deserve? Do we recognize those members of our community who simply cannot overcome their obstacles by themselves? Reflection Questions for Part II - Give Mercy - The following reflection questions were crafted after hearing the weekend's homilies. They can be used for personal reflection or Small Group discussion. What are the outcomes of God showing us mercy? What happens when we receive God's mercy? Who are we called to show mercy towards? What does it look like to offer mercy to someone else? Who needs mercy in your day to day life? What is one way you can show mercy to someone else this week? Mercy has to be more than a concept. It has to be real to us, applicable to everyday life. Mercy can’t simply be an idea that makes us feel warm and fuzzy. The way we know mercy, receive mercy, and show mercy can change our lives. It has to be real. This series is about what we absolutely need to hold on to and what is worth letting go of that we might gain something better. It’s about the necessary risks of life and the rewards that are worth the risks. Today’s Gospel is the foundation of all three parts of “Safe and Secure.” Bartimaeus, a blind man, calls out to Jesus from his own darkness, and when he hears the voice of Jesus calling him, Bartimaeus throws aside his cloak to come to Jesus and receive his sight. The basis for this series is Bartimaeus’ cloak, his safety and security (also his likely source of income as a beggar), which he throws off in order gain something even better, his sight. Reflection Questions for Part I - The Cloak: The following reflection questions were crafted after hearing the weekend's homilies. They can be used for personal reflection or Small Group discussion. What makes you feel safe? When do you feel safe? Who makes you feel safe? Why? Have you ever sacrificed something good for something great? Explain. Have you ever risked something with hope that something good will come of it? Explain. What is your highest value? What is most important to you in your life? What’s worth more than our safety and security? Happiness? Family? Holiness? Justice? Heaven? This week is the Feast of All Saints, we highlight the lives of those who sacrificed parts of their safety and security and reflect on what they gained in return. In whom do you find safety and security? When have feelings of safety and security been shaken in your life? When you have a moment of shaken security or safety how do you respond? Do you escape the feeling through busyness? Do you use some pleasure or entertainment to distract yourself? Do you turn to God? Explain. How is the safety and security you find in a relationship with God different than earthly safety and security? The Saints demonstrate that giving up earthly safety and security is an essential part of following Jesus. How does their example invite you to follow Jesus? Do you have a personal relationship with God? Do you find safety and security in that relationship? Why or why not? This final week is a look at Intentional Christian Generosity, how is the poor widow in today’s Gospel a model for today’s Catholics? And how can we get practical about our generosity? A few years ago, we ran across this Piers Morgan clip(link is external) when working on a youth retreat. While the topics of Pope Benedict’s retirement and AIDS in Africa had nothing to do with the retreat, the way Penn Jillette, author of Everyday is an Atheist Holiday, explains the logical conclusions of believing in an all-powerful God intrigued us. Despite the fact that Jillette does not believe in the existence of God, his conclusions are similar to logic that guided St. Thomas Aquinas and others. What do you think? Do we have a say in who God is and what God does? Have you ever heard someone say, "I can't believe in a God who…"? What were the circumstances? What were they getting at by this statement? In the Gospel, Jesus asks his disciples, "Who do you say that I am?" How would you answer this question today? Why is that your answer? If your good friend said to you, "I can't believe in a God who would allow such pain and suffering in the world." How would you respond? What did you hear in the homily this weekend that would help you respond? In the Gospel, Peter had trouble accepting that Jesus would have to suffer on his and all humankind's behalf. What does it mean to accept Jesus' suffering on our behalf? Have you accepted Jesus' suffering for your redemption? Explain. How would accepting Jesus' gift of suffering on the cross change our daily lives? How do we discover what God is really like? What is 1 thing you can do this week to learn about who God is? Jesus tells his disciples that He is going to die. Isn’t this the last thing a friend would want to hear? The disciples don’t want to hear it, they don’t understand it, and they were afraid to question him. How often do we ignore things we don’t want to hear? Is it possible to always be on the same page with a God who is wiser than we are? How does the world define greatness? How does God define greatness? What makes it hard to accept God's definition over the world's? The disciples "didn't understand," but were afraid to ask. Were they afraid of asking Jesus, or were they afraid of what his answer might be? Have you ever hesitated to ask God a question because you didn't want to hear the answer? Explain. What is our reaction when God gives us an answer we don't want to hear or struggle to believe? What do we do when we don't agree with God? Explain. What is the benefit of listening to God? Why is it good for us to ask him our questions, accept his answers, and live like his children? If God's greatness is choosing humility and putting others first, what would it look like if you sought God's definition of greatness this week? Make a plan to do 1 "great" thing this week for someone else. What happens when we fail to answer Jesus’ question, “Who do you say that I am?” Many people embrace Jesus as God, others completely reject Him, but quite a few of us don’t answer the question at all. Why do we have to answer this question? And do we have to do it now? How does my answer to “Who do you say that I am?” change how my spouse, children, and others respond to Jesus. Am I building the Church like St. Francis? How often do I speak to others about my faith? Am I willing to go outside of my comfort zone, if it were to help someone else know Jesus Christ? Explain. Why is sin “scandalous” by the Biblical definition of scandal? Why do you think Jesus so strongly speaks about sin and scandal in the gospel this week? Who, in my life, is a stepping-stone to following Jesus? Who is sometimes a stumbling block to following Jesus for me? What “stumbling block behavior” could I remove from my life so that I could follow Jesus more completely? What is one thing I could do this week to cut it out? When am I a stumbling block for others in following Jesus? When do I help others follow Jesus? What is Jesus trying to get at when He talks about marriage? Does He even understand the struggle and pain of going through a divorce? Does Jesus consider the implications His answers have on real people? This week Jesus is asked about divorce and remarriage. The Pharisees are trying to entrap Jesus, to turn the crowds against Him. How do we answer, “Who do you say that I am?” when it comes to tough issues? How do we follow a God whose answers sometimes feel disconnected from modern life? Can you give an example of someone who followed God even though it was difficult or looked down upon by the world? Do you believe that God always has your best interests at heart? How does your answer influence how you respond to Jesus' teachings? How can an adult have childlike faith? Practically, what does childlike faith look like for you? Do you feel like God is author of your life and your most significant relationships? Is God your primary advisor when it comes to making major life/relationship decisions? What does family and marriage have to do with discipleship? How do families help make disciples of Jesus Christ? This series wraps up with a final decision. If our answer to “Who do you say that I am?” is You are the Christ, the Holy One of God it will require our lives to revolve around a relationship with Jesus. We can no longer ‘fit God in’ to the empty parts of our schedule. God will have to set the schedule. In today’s Gospel Jesus’ answer to “What must I do to inherit eternal life?” is more than the young man is willing to give. What (who) is perfect Christian Wisdom? How do we seek wisdom as Catholic Christians? Why does Jesus invite us to follow him? In the gospel, the man goes away sad because he desires his possessions more than following Jesus. What is the hardest thing for you to let go of in order to follow Jesus? Why? Does God need worship? If not, why does he ask us to do it? What is the purpose of worship for us at HNOJ? Do I want to follow Jesus Christ more closely than I do right now? What has the greatest gravitational pull on my heart? How do I live a life where God is our most important thing? This series was named "God: Who does he think he is?" But the real question is "God: Who do I think he is?"